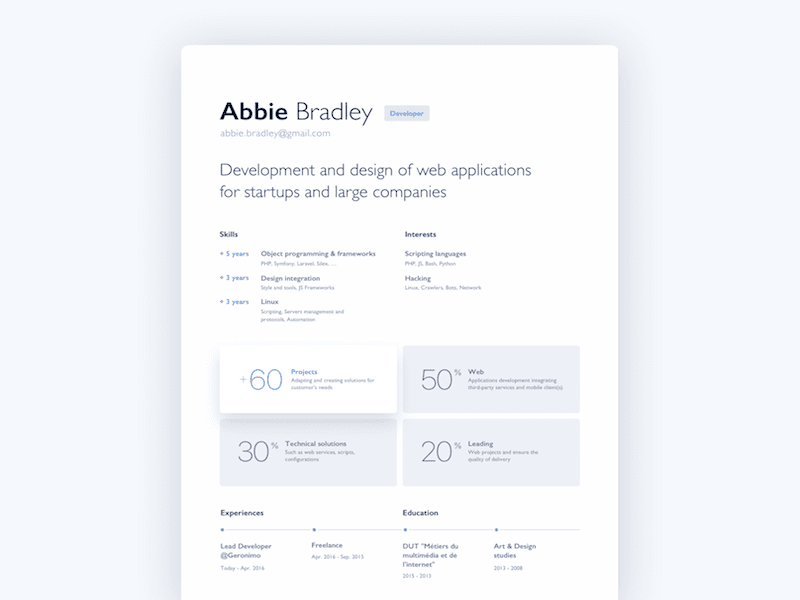 This awesome resume freebie was designed by Nicolas Meuzard. Focusing on achievements, and skills. You can check his dribble shot to download the design file of this resume, and don’t forget to like the shot. We have converted this minimal resume template into responsive HTML & CSS template using “Lato” as the base font. No need to load bootstrap or jQury, even the timeline is pure CSS & HTML. Hope you like this freebie, Don’t forget to share.